Summer is supposed to be about spending time in the great outdoors soaking up the sunshine and enjoying the fresh air. However, if you are one of the millions of allergy sufferers living in this country, instead of anticipating spring and summer gardening, water sports, or evenings on the back porch, you are probably dreading the sneezing, coughing, and itchy eyes that allergies can bring on. While there are many medications available for combating seasonal allergies on your local drugstore’s shelf, many of them have unwanted side effects that can sometimes be worse than the allergies themselves. Luckily, there are several natural ways you can fight allergies that won’t make you sleepy or give you dry eyes. In India, generations have relied on the time-tried method of rinsing nasal passages with a saltwater solution to prevent pesky allergens from causing the snuffles. A neti pot is a small container with a long spout, akin to the Genie’s bottle from the popular Disney film, Aladdin, and is used to deliver a salty rinse to the inside of your nose, which helps rid your nasal passages of pollen grains that can put your immune system on high alert. Just mix up a teaspoon of salt with a cup of warm water (not too hot!) and pour it into a neti. Then, standing with your head over the sink, tilt your head slightly to one side. Put the neti’s spout into one nostril and pour about half the saltwater solution in, letting it drain through the opposite nose opening. Tilt your head to the other side and repeat with the remaining solution. Do so about twice daily during peak allergy season for best results. Why only treat allergies after the fact? Quercetin, a bioflavonoid found in many common foods such as citrus fruits, tomatoes, onions, and broccoli, can help build up your immune system and prevent it from releasing histamine, that allergy symptom causing compound. Of course, to get enough into your system to prevent allergies, a supplement is in order. 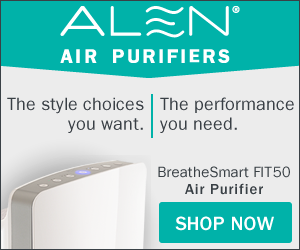 Typically, around 1,000 milligrams a day is the suggested dose, and you’ll need to take it starting a month and half before allergy season begins to build up a sufficient reserve. However, if you have liver disease, skip this remedy as it may cause complications, and remember: no matter the supplement, it’s best to consult with a medical doctor before adding any to your daily regime. Most over the counter drugs used to treat allergy symptoms usually have a histamine blocker as the active ingredient. Blocking histamine production is one way to tamp down on allergy symptoms, but you don’t have to buy allergy medications to get it. 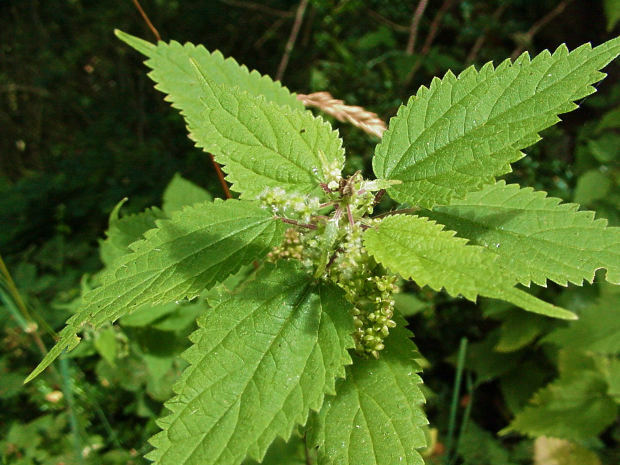 Urtica dioica, or stinging nettle as it is commonly known, is a natural histamine blocker that doesn’t have the same side effects that manufactured drugs often do. Supplements containing extracts from freeze dried leaves are usually the easiest way to reap the benefits of this common weed, but you can also make teas and tinctures from the plant itself. Just be careful to wear gloves when handling the plant—it’s covered in small hairs that will cause your skin to swell and itch upon contact. Petasites hybridus, or butterbur, is another weed that has antihistamine properties. In a study published in the British Journal of Medicine, researchers from Switzerland found that patients who took supplements four times a day for a grand total of 32 milligrams received allergy relief comparable to that provided by the active ingredient in popular allergy medication Zrytec. However, as butterbur grows mostly in Western Europe, it can be a bit harder to find in the United States. In addition, butterbur is related to ragweed, so use caution if you have ragweed allergies as it may actually intensify your symptoms rather than relieve them. Living with allergies is tough enough without all the side effects and other problems that some allergy medications may cause. Take control of your health and see if natural remedies don’t provide a better solution to your allergy problem. Rinse out your nasal passages with salt water using an Indian neti pot so you can breathe easy. Strengthen your immune system and reduce the chances that you will develop allergies before they begin by taking quercetin supplements. Try natural antihistamines like stinging nettle or butterbur for side-effect free allergy relief. After all, nature gives you allergies, so doesn’t it make sense that she might provide the antidote, too? Lauren Hill is a freelance writer, wife and mother. She is constantly on a quest to keep her family healthy and enjoys writing on the subject. She is a contributing author for Solstice Medicine Company, a traditional Chinese medicine company offering herbal remedies for allergies, cold/flu, muscle and pain relief as well as arthritis. Go here to see the many options they offer.